In collaboration with you, we can offer you the advice and strategic analysis you need to align your email marketing efforts to your overall business and communications priorities. 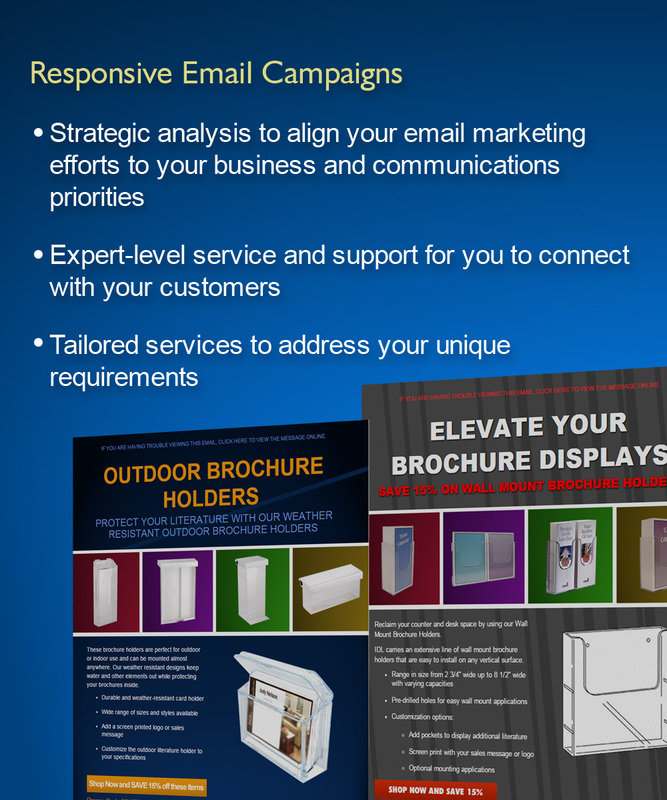 Putting the plan into action, we will create, manage, and deliver high-volume, targeted email campaigns that will contribute positively towards your bottom line. From professional template design to copywriting to email list management, we can provide you with expert-level service and support for you to connect with your customers and build lasting, profitable relationships. What’s more, we can reliably schedule and track your email deliveries, monitor your campaign results in real time, make modifications on the fly and provide you with useful and timely campaign reports whenever you need them. No matter how big or small your company, we can tailor our services to address your unique requirements. Further, as your organization evolves, you can draw from our integrated suite of web-based solutions to support your changing needs and put more control at your fingertips. I have worked with Shrinking Planet for over 12 years across three companies. I continue to be impressed with Shrinking Planet's professionalism and the quality of work they deliver. Without a doubt, I would recommend Shrinking Planet to any business.